Maintain your fundraising momentum and switch your campaign to DonateMySchool! DonateMySchool can enable you to collect donations from your school and wider community with a one-off crowdfunding appeal or a regular giving campaign. Launched in 2018, DonateMySchool is the UK’s only dedicated fundraising platform for all schools. We specialise in helping schools of all shapes and sizes to raise much-needed funds. 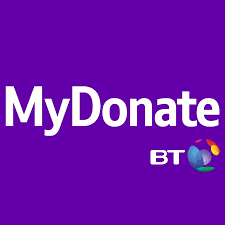 So whether you are currently crowdfunding a project or running a regular giving campaign with BT MyDonate, we can take it over for you seamlessly. Why move your campaign to DonateMySchool rather than JustGiving or Virgin Money Giving? Simple! Our flexible fundraising solutions, expertise and lower fees! And as a “thank you” for switching your campaign to DonateMySchool, we are offering free fundraising until the end of the year. for more information, please drop us an email: info@donatemyschool.com. DonateMySchool offers a fully flexible fundraising solution. To get started, all you need to do is choose which type of campaign you would like to move to DonateMySchool – or set up a new one. You can choose a single campaign to crowdfund a project, or regular giving campaign to collect monthly donations. Our ‘Crowdfund a Project’ campaigns set a financial target for a project and set a finite timescale within which to reach it. This is a really effective way to engage the whole school community and beyond in delivering something specific, for example new IT equipment, or a minibus. Our online regular giving facility allows you to hand over all day-to-day operations and hosting for any ongoing campaign you already have or to set up a brand-new campaign. Next choose your preferred service level. Access to our guides on how prepare for and run a successful campaign. We can collect Gift Aid for you, boosting each donation by 25%. The marketing fee for our Basic Service is a competitive 3% of funds raised. That’s it – no annual subscription fees, and no additional payment processing charges. Our Premium Service is unique in the crowdfunding world. It acknowledges the major time commitment required to successfully raise funds and the fact school fundraisers are often time-starved so may require an additional level of support. From inception to conclusion, we will partner with you every step of the way to provide direct and ongoing personal campaign input. Our specialist team will work with your school to develop and refine the campaign message, create your campaign page and content and will partner with you to deliver a structured comprehensive communication programme across digital, print, social media and press releases. We will monitor your progress and be on-hand to offer support and guidance through our help desk function. The fee to enjoy the advantages of our Premium Service is just 5% of funds raised. With either service level you will also receive any technical support required during the registration process and throughout your appeal, ensuring your switch from BT MyDonate is as painless as possible! Switch Now and Enjoy Free Fundraising until 2020! Whichever campaign type or service level you choose, DonateMySchool fundraising is totally free until the end of this year. So why wait? Keep up the fundraising momentum or re-launch your campaign with the help of our experts and switch to DonateMySchool today. DonateMySchool is operated and managed by Karadoo Finance Limited which is Authorised and Regulated by the Financial Conduct Authority and registered with The Fundraising Regulator.